Antares is a name of vessel Sun Odyssey 43 ,which was produced in 2003. 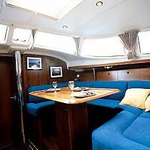 You can charter this yacht from base Portisco in area of Sardinia. 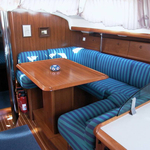 Antares is equipped with 10 sleeping places. 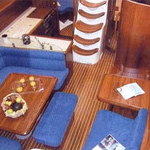 Berths on the sailboat are configured in 10 (8+2) layout. 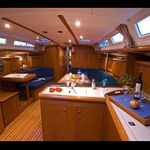 4 cabins are situated inside the vessel Antares. 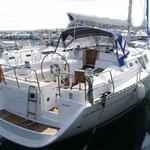 Use this site to find our offer by going here: Yacht charter Sardinia. 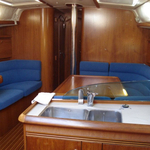 Crew members can feel comfy on this boat , because there are 2 toilettes with showers for their disposal. 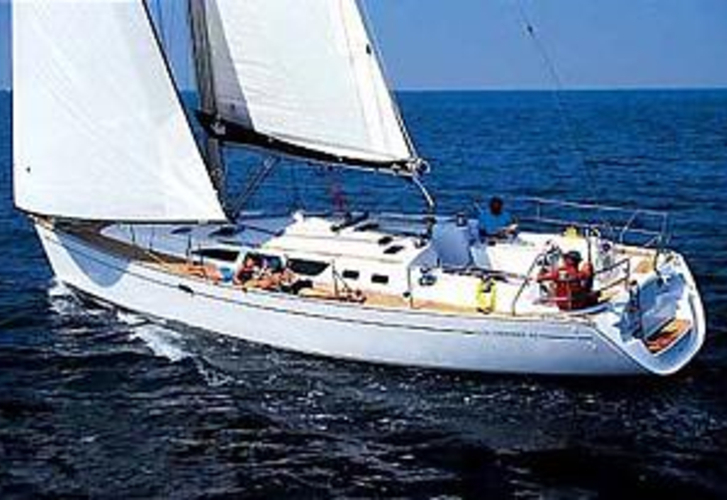 With 200.00 l l. in tank for fuel you can sail really far and still be independent because of 400.00 l liters in water tank. Antares is driven by motor 80 hp. 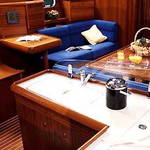 Yacht's dimensions are: LOA - 12.55 meters , width - 3.99 m and 2.10 meters of draft. 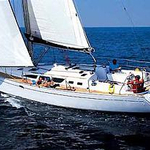 On the sailboat is placed following equipment: parking place, Radio / cd player, Wc pump electrical, Autopilot, Gps plotter, Dinghy, Teak deck, Bimini top, Anchor electric windlass, Furling mainsail, Inverter 12v-220v, First and last night in marina free of charge. . Nonrefundable caution accounts for 3200.00 EUR. 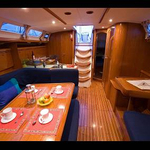 In our search engine you can easily check avalailability of sailboat Antares from Portisco by moving to this section: Yacht charter Italy.